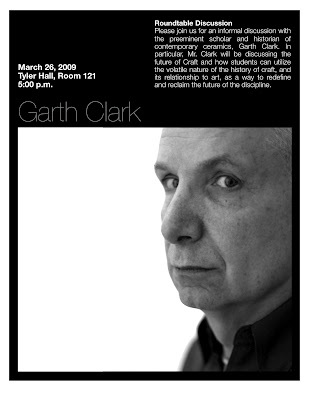 Please join us for an informal discussion with the preeminent scholar and historian of contemporary ceramics, Garth Clark, hosted by Tyler Ceramics and GOCCA,. In particular, Mr. Clark will be discussing the future of Craft and how students can utilize the volatile nature of the history of craft, and its relationship to art, as a way to redefine and reclaim the future of the discipline. For twenty-seven years Garth Clark Gallery in New York, Los Angeles and other venues, has been the most respected resource internationally for modern and contemporary ceramic art, serving an worldwide audience of museums and collectors. Since 1981 it has presented over six hundred exhibitions, showcasing the most significant 20th century artists from George Ohr, Hans Coper, Ken Price and Ron Nagle to Anthony Caro, Lucio Fontana and Isamu Noguchi. 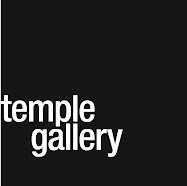 The gallery has contributed substantially to the scholarship of the field through publications and the support of symposia. This event is open to the public and is sponsored in part by the Temple Student Government.